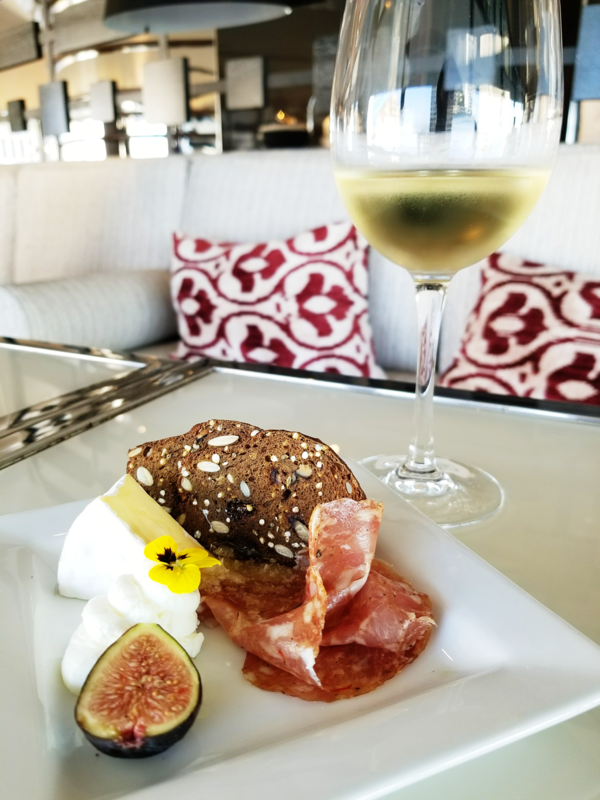 I can’t think of a better way to spend an evening than enjoying incredible city views while sipping delicious wines. 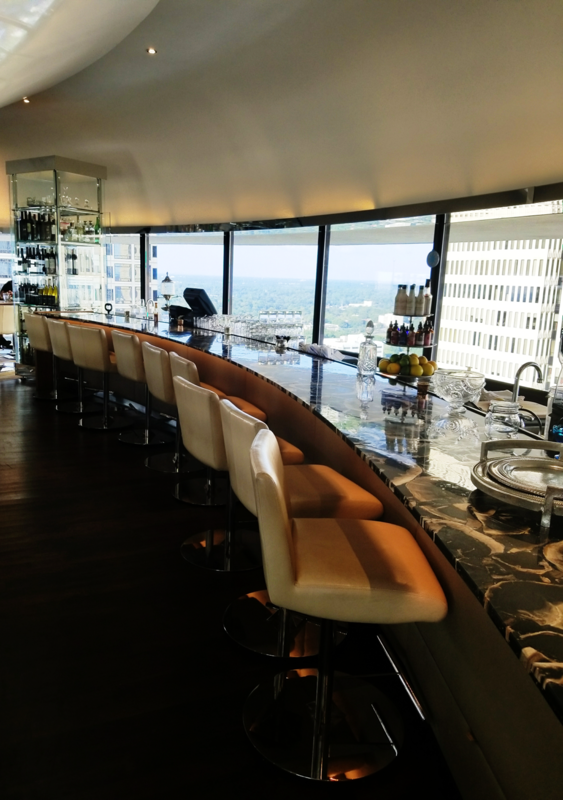 And I had the chance to experience just that at Polaris–Atlanta’s famous rotating lounge, located at the Hyatt Regency Atlanta. 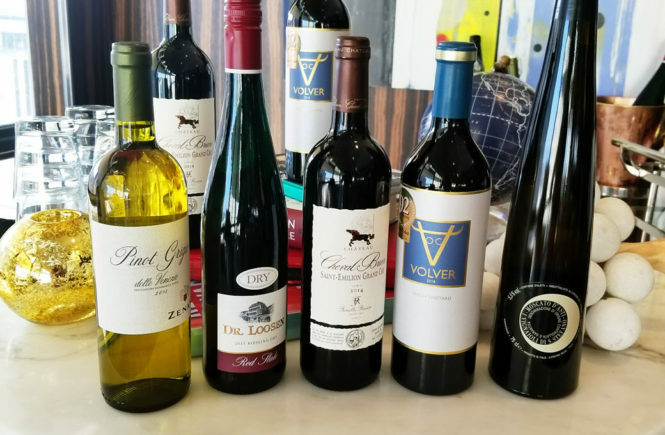 Polaris recently hosted Vino en Bleu, a tour of Europe wine tasting. And I was excited to sample an artfully selected assortment of wines. 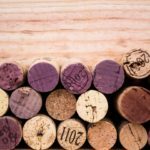 Unfortunately, I haven’t figured out a way to provide real samples of the wines we had at Vino en Bleu through the internet. 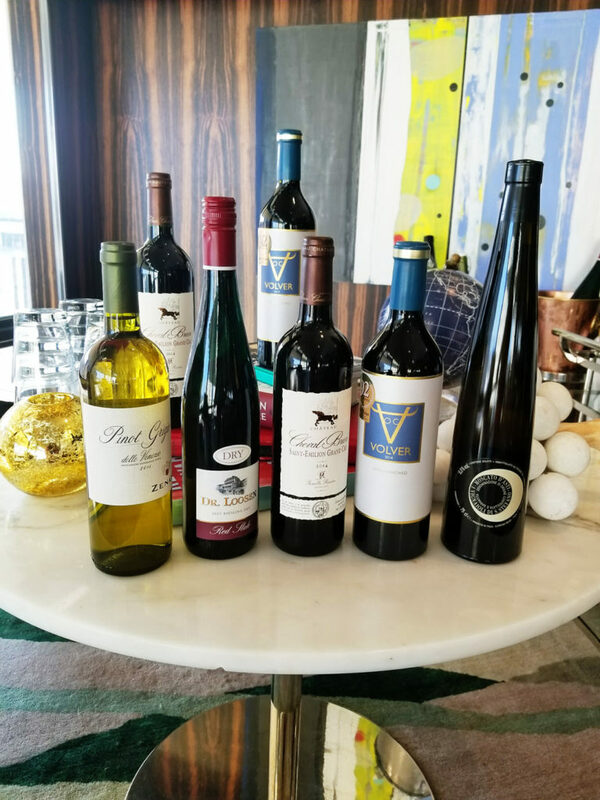 But I can share the names of the wines so you can order a glass or two during your next visit to Polaris. 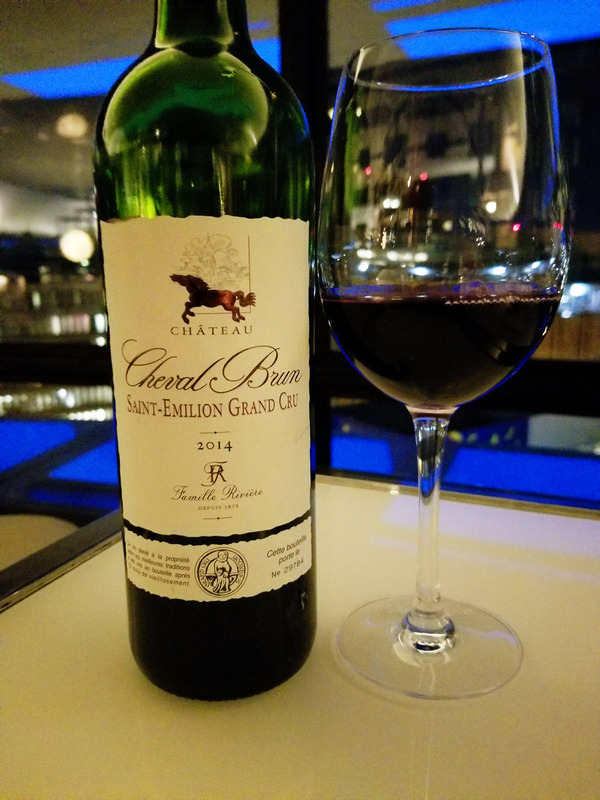 This wine is best served with appetizers, so I’m not surprised that our evening began with this. The sommelière asked us to taste the various cheeses and meats and note how those flavors affected the flavors of the wine throughout the evening. 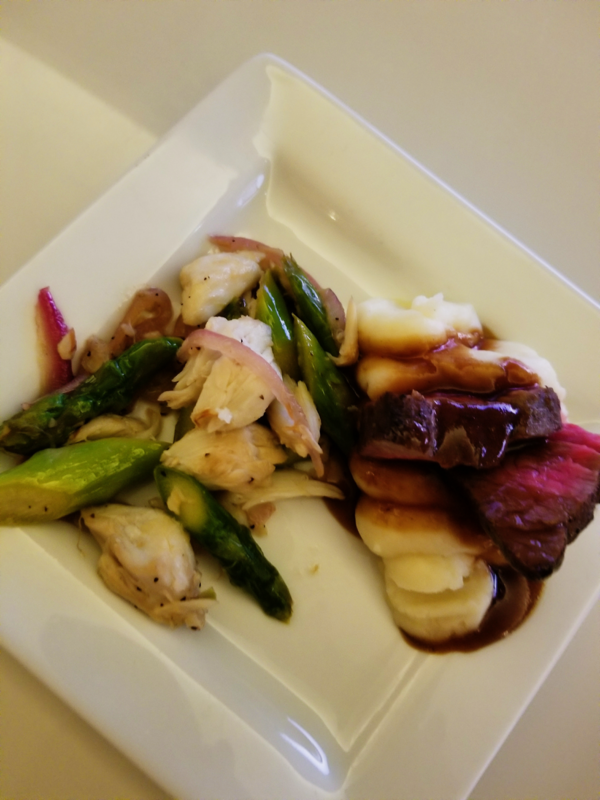 But honestly, we were all pretty hungry and quickly inhaled our plates–especially since everything was so tasty! 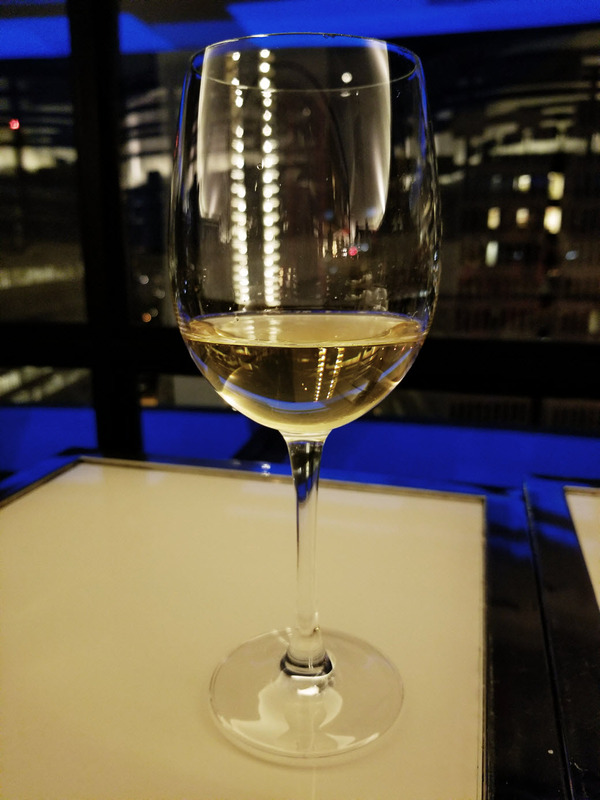 I’ve never had a dry Riesling before, but I liked it. 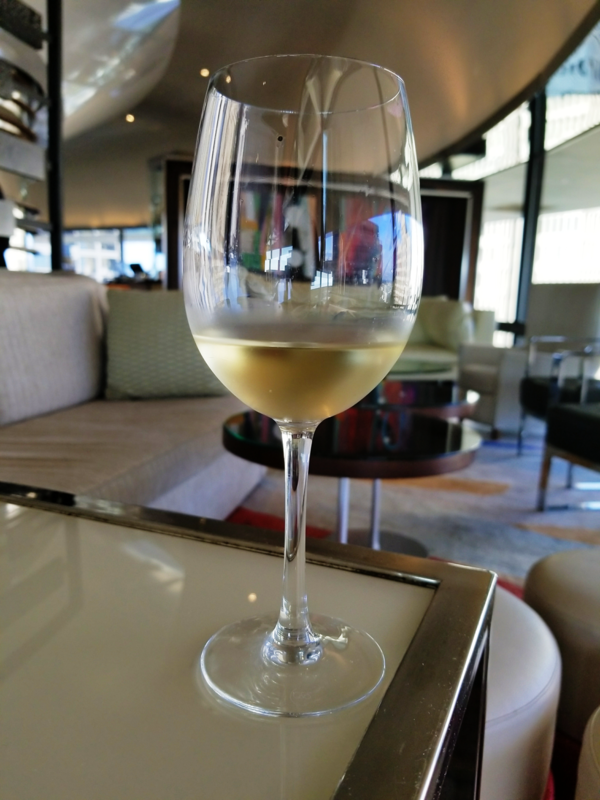 I’m used to a sweet or semi-sweet Riesling, so this was a pleasant change for me. This was my favorite of the night (I’ve grabbed a bottle of it for myself already). It will go great with beef or venison. 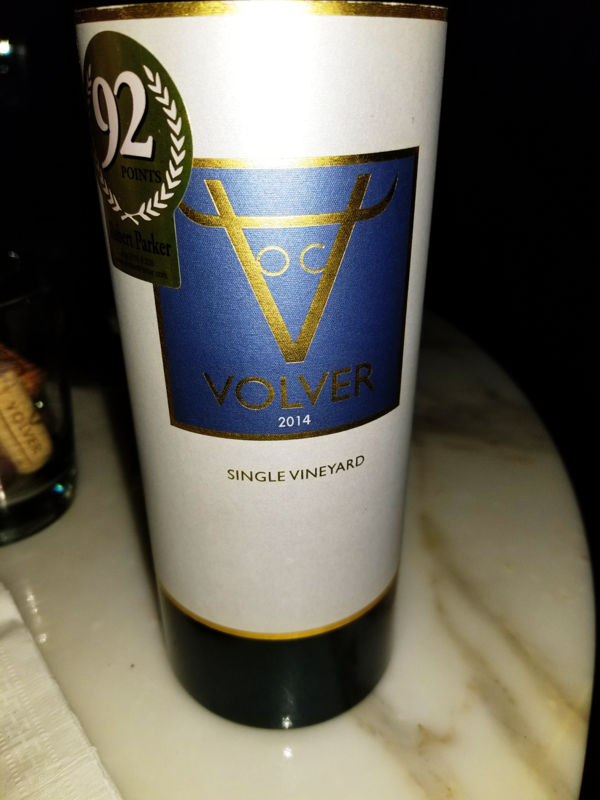 “Volver” means “to return”, and I’d definitely visit Polaris again for this delicious wine. Last, but certainly not least, we were served glasses of this sweet, sparkling wine. But wait, there’s more! 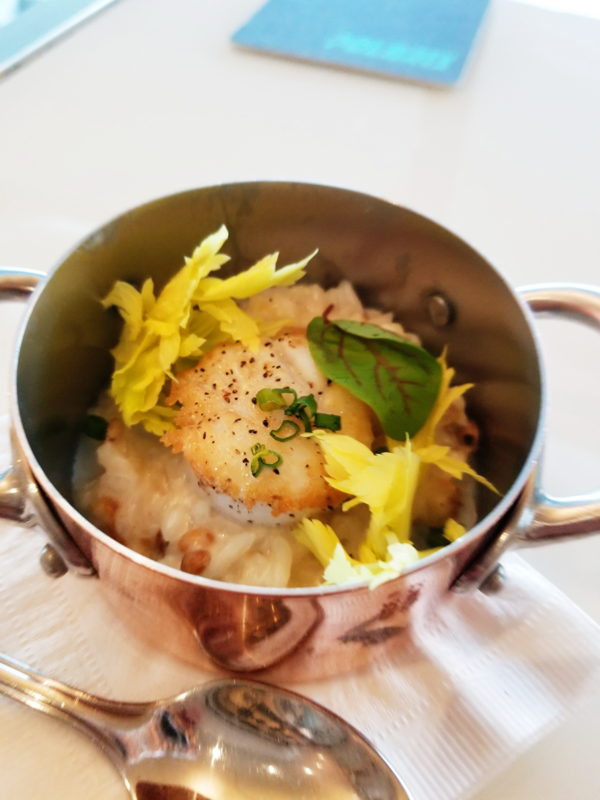 As special treat, we also received samples of some of the most popular menu items at Polaris. We had to have something to soak up all of this incredible wine! 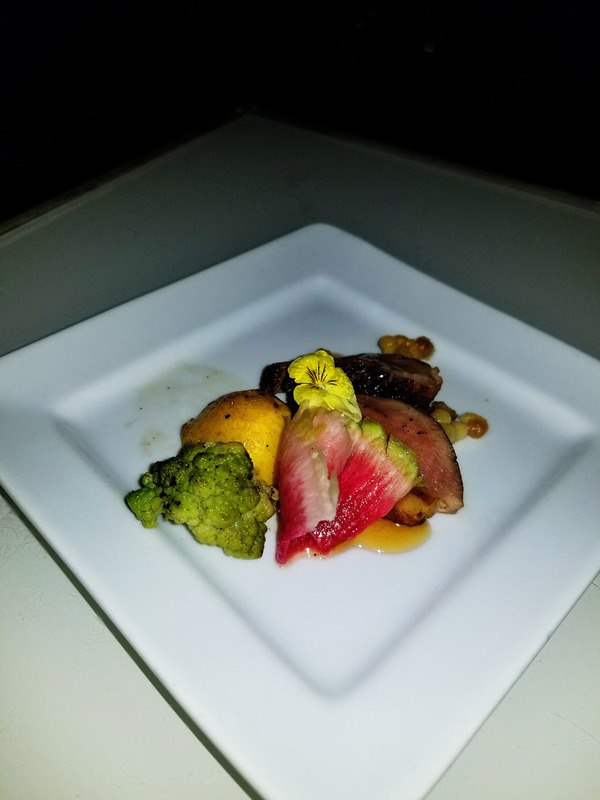 This was such an amazing selection of wines and cuisine! I have definitely found a new favorite locale in the city, and I’ve fallen in love with this luxurious lounge and its cool, retro vibe. Not to mention, the entire staff is absolutely wonderful! 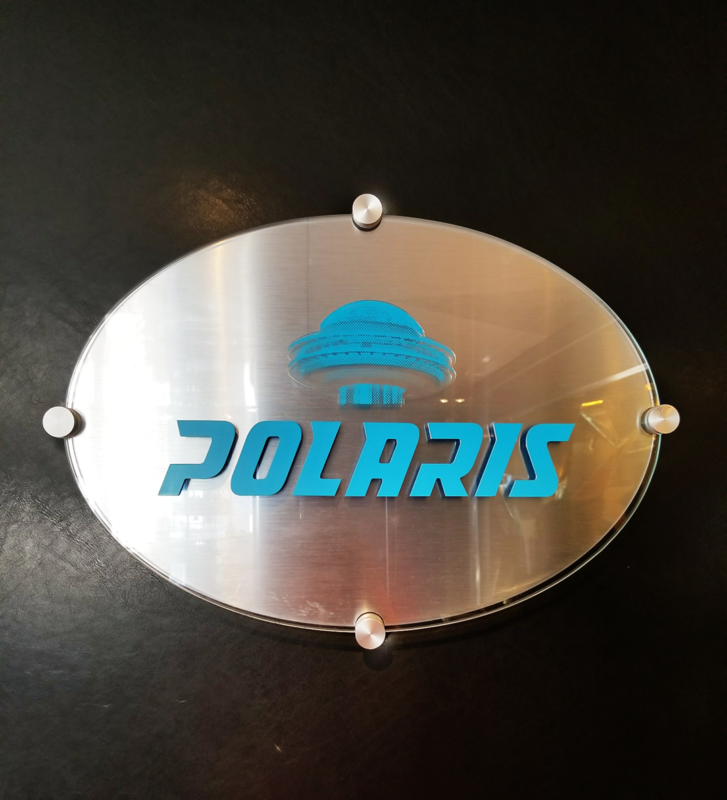 Polaris is the perfect place to go for dinner and cocktails, especially if you want to impress your dining companion. 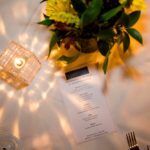 Be sure to visit them soon for wine, cocktails (they have their own Polaris Bourbon, by the way), dinner, desserts, while you take a spin (literally) around Atlanta’s beautiful skyline.